When you visit Miami Beach you can not leave before tasting a cocktail or two. To help you make the decision I’ve picked a selection of hand-crafted tasty cocktails to make your evening not only memorable, but a colorful one. However, you don’t have to wait until you’re at the beach or on vacation. If you’re lucky enough to have a bar handy at home check out the selection and if you’re missing a bottle or two you’ll be well armed for your next shopping trip so you’ll know the right ingredients to buy so that you can give some of these a whirl. 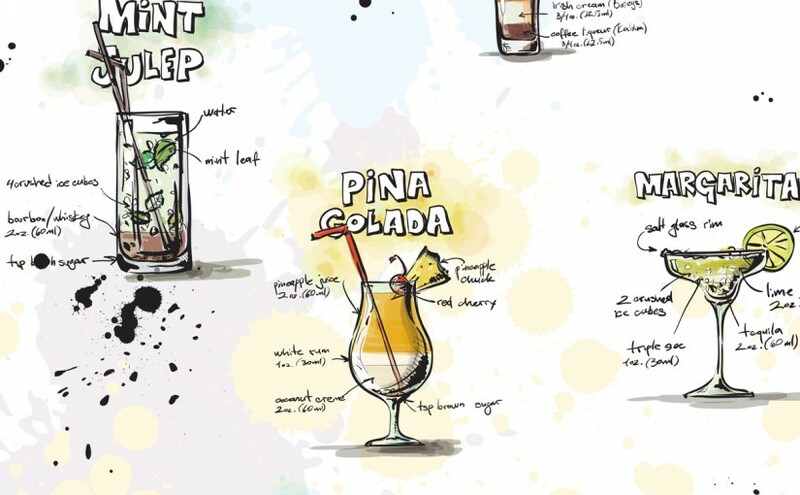 I’ve listed the classic ingredients that go into each one so you can impress your guests the next time you throw a party or want to show your drink expertise and knowledge when you’re out on the town. I’ll also reveal what glass your drink should be served, whether it’s on or off the rocks and what garnish should be added to complete the look. 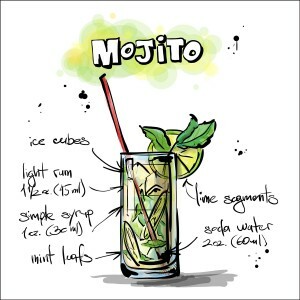 The Mojito is the most famous drink to have whilst visiting the beaches and sits at the top of my list. Lime not your thing? No problem, check out the strawberry version in this article.